Co-Pilgrim continue their fertile period of album releases with a brand new record bound and packaged to tempt a curious listener into a compendium of complexities and craft. It’s a record to challenge and delight, swaying the audience in a multiple of mood swings. Melodic and mellow comes up on the rails to ultimately pip fiery and fervid, but there are frequent elements of the record which places Co-Pilgrim at an intriguing point where 60s psychedelia meets late 80s pioneering Brit Pop meets 21st century raw indie-Americana. Whether such associations cross the minds of Mike Gale and Joe Bennett when they hit the studio are mere speculative thoughts, but their music certainly courts independent reaction. The eight tracks, which symmetrically form MOON LAGOON, are full of cool sounds that soak deep into your pores. The symmetrical element comes from the fact that this appears to fit the double-sided vinyl format and that the first and last pieces linger longest in the positive memory bank after a succession of analytical plays. Of course a particular mind-set determines whether you spin a record for such a purpose or the more common simple pleasure effect, and the good news is this record slides into either approach. The reason album opener ‘Turn it Around’ resonates well lies initially in a 90 second rock intro of crashing hazy guitars leading into the trademark vocals that give Co-Pilgrim a distinctly West Coast feel in part. This was an attraction when the band first caught my ear four years ago with the release of A FAIRER SEA. However there are a number of deviances as the album proceeds, no greater than a sumptuous final track with the trumpet parts to ‘Wouldn’t You Like to Dance’ fuelling an eclectic feel to the record as an entity. Another feature, which marks out this record, is the vocal interjections on ‘You’ll Look Pretty As a Picture When the Acid Rains Hits Ya’ and ‘Moon Lagoon’. If the title of the former raises an eyebrow, you’ve yet to be introduced to ‘I’m Not a Wallflower, I’m the Wall’ and ‘Digging Holes in the Whites of Your Eyes’. There is a view here that the lyrics often plant ideas in your mind rather than leading, to the extent that they are quite sparse on tracks like ‘Cylindrical Fire Escapes’ and ‘Thank My Stars’. The first of these is unveiled as the record’s seven-minute epic, complete with a moody appeal to those with sufficient stamina. 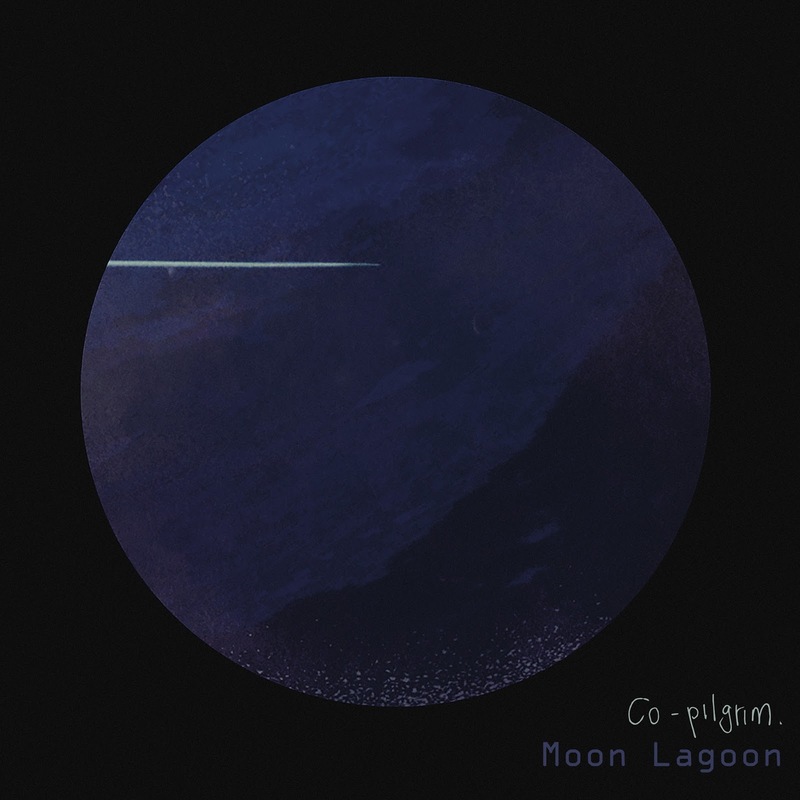 One conundrum at the conclusion of listening to Co-Pilgrim is whether the lo-fi nature or more up-tempo beat tunes prove to be the greater selling points. Possibly the former prevail to a larger extent, but the effect lies solely within the mind of the independent listener. Whichever way you extract listening pleasure from this album, you should now be getting the picture that options are out there. 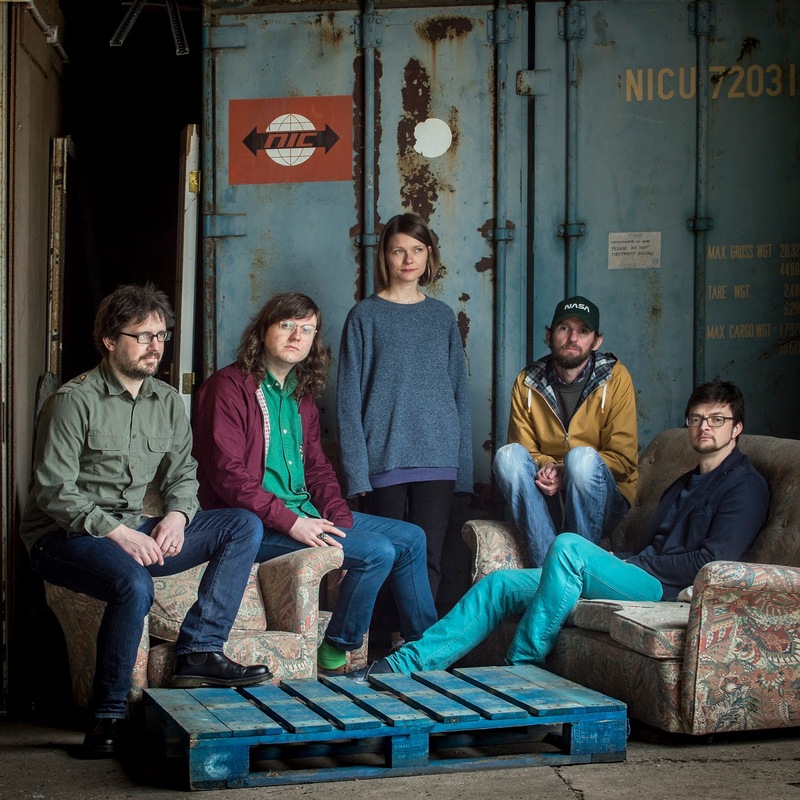 One undeniable conclusion is that it is inventive and wholly successful in projecting an aura of swirling diverse landscapes from a base of a single writer, joint producers and a small band of dedicated musicians. Although I am far more familiar with Joe Bennett’s Dreaming Spires output, it has been useful to check back into his work with Mike Gale as Co-Pilgrim. 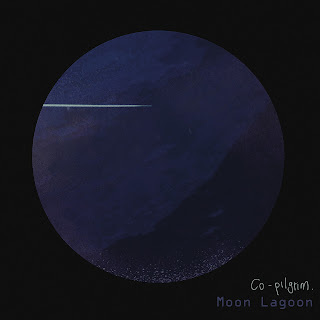 MOON LAGOON possesses the guile, sounds and texture to create a space in a market where Americana slides into a softer form of edgy innovative indie rock. Here it will flourish and delight many a listener who tracks it down.